Rough diamond trading was surprisingly buoyant in April given that polished demand is restrained and inventory levels continue to rise. Concern deepened this month that an oversupply of polished diamonds will pressure the market. 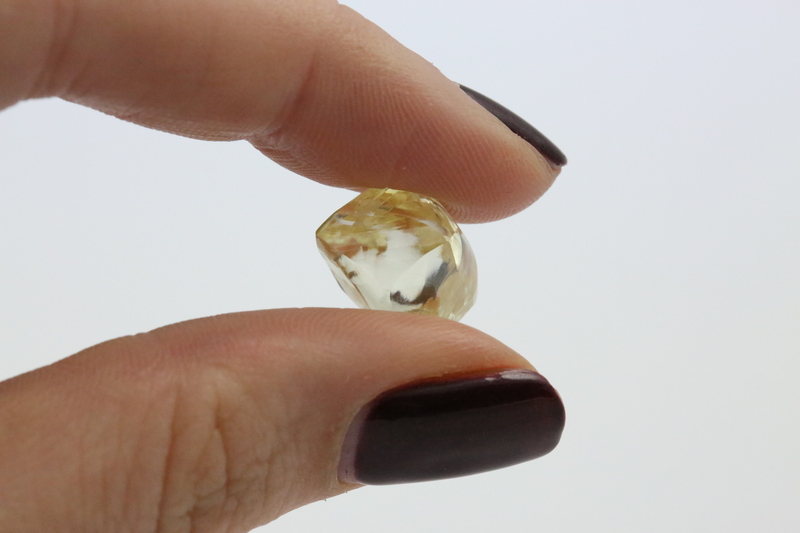 Analysts assess the diamond market positively and raise their outlook for the mining sector in 2016. VTB analysts projected the recovery will be “more material” than expected given the continued need to substantially refill inventory across the diamond pipeline. Rough sales in the first quarter should be sufficient to refill the diamond pipeline. A slowdown in rough demand is now projected in the coming months if not for the remainder of the year, if the recent polished uptrend is to be sustained. Already in February, Rapaport cautioned that polished supply will significantly rise as production has normalized, which will exert pressure on the market. That has yet to transpire in a meaningful way as new polished supply from rough bought in January-February is expected to reach the market only in late April and May. However, inventory levels have started to rise and the uptrend in polished prices has started to flatten, as demonstrated in the April Rapaport Monthly Report. Polished demand is selective – steady for dossiers and 1-carat diamonds and weaker for sizes above 3 carats. That was reflected in the De Beers supply as the company raised prices mainly for goods where polished demand is firm, such as 4-to-8 grainers that yield pointer sizes and 1-carat polished. Prices of rough diamonds that yield less desirable polished were left unchanged. Still, demand was fairly consistent across all categories of rough and many De Beers boxes were selling at mid-single-digit premiums on the secondary market during sight week. Given those conflicting trends in the two markets, some sightholders expressed concern a bubble is developing in certain categories of rough, especially in the larger items. Some sightholders argued De Beers supply is more attractive than that from other sources since the company cut prices in January by about 7 percent. It is perhaps for that reason they didn’t complain too much about De Beers increasing prices in April as they can still garner a profit at current polished prices. Either way, the increase didn’t deter sightholders. If anything, they requested more rough than was available from De Beers. An Indian manufacturer noted the market can still absorb these volumes given there was decent polished market activity in the first quarter. “Hopefully it will continue,” he said with skepticism as April-May is traditionally a quieter selling period for dealers and manufacturers. The midstream is all too aware the market tends to slow in the second and third quarters. In the past that seasonality has led to lower polished prices, with the RapNet Diamond Index (RAPI™) for 1-carat GIA-graded diamonds declining in each of those quarters over the last four years. Manufacturers ought to assess how they can sustain the positive experience of the first quarter through the slower season and beyond. It would certainly be a shame if the longer term momentum were broken by a build-up of excess inventory yet again. The April rough selling cycle suggested manufacturers might be doing just that at a time when they are, in fact, no longer under pressure to restock the pipeline. There is a sense that a normalized seasonality has returned to the diamond industry after the cycle was broken last year. But as rough demand remained strong in April, it appears that supply will put additional pressure on the polished market during the slower season.